Three years after “Fantasia”, the winner of the Prix un certain regard at the 2006 Cannes Film Festival for “Luxury Car” returns with a heartbreaking, kind of surrealistic drama, that follows in similar visual footsteps as Yang Chao’s “Crosscurrent”. Lao Yu, a rich entrepreneur from Beijing arrives at the rural village his estranged son used to teach, after he is informed that he drowned in the river. While the searches for Lao Yu Junior’s body continue, the father settles in the village, and spends much time with the school’s head teacher, and learns about Xiaofen, the young girl his son had taken under his protection and the one who saved before dying. As he spends time in the village, he starts to learn about the unknown man his son has become, as much as about the life in the poor village, whose inhabitants are about to be relocated. In order to feel closer to his son he decides to help both Xiaofen and the village. Wang Chao directs a film that moves into a number of axes. The first one deals with a father looking for his son, and trying to do everything in his power to “repent” for being so distant from him. A number of events and secrets revealed highlight this distance, and at the same time, the difficulty of communication between different generations, as the father wanted for his son to follow in his footsteps and the son something completely different. 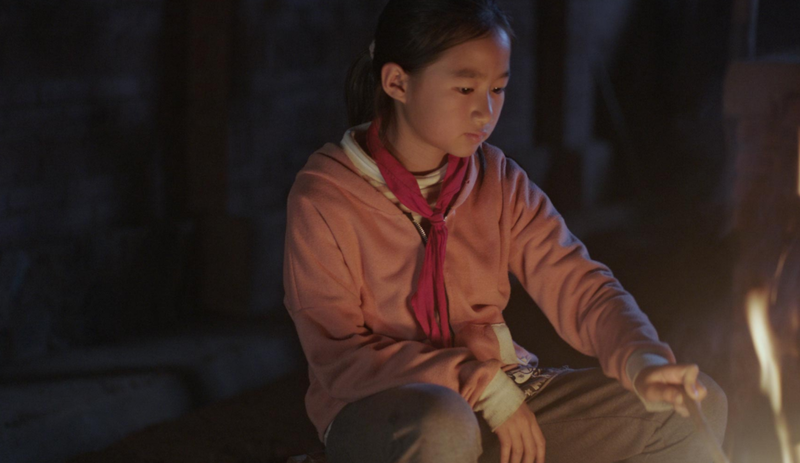 The second revolves around Xiaofen, an orphaned girl Lao Yu Junior did his best to educate, and, in general, to give a future outside of what her self-centered aunt wanted. Both these axes deal with loss, with the girl appearing much more shuttered than Lao Yu about her mentor’s death, although this equal sense is what brings them eventually together. A third axis, and the most surrealistic one, deals with the son’ soul, who seems to try to return to the world of the living in order to meet with his father, with his presence becoming visual after a fashion. A fourth axis deals with life in the Chinese rural areas, which seems to change quite rapidly during the last decades, with the inhabitants being preys to the decisions of the government, in a concept that will probably create trouble with the Chinese authorities for Wang Chao. The search for the body reveals another axis, which actually engulfs all the rest, as the film functions frequently as a tour guide of the area. In that fashion, Wang Shiqing’s cinematography presents images of extreme beauty through long shots that highlight the rural setting, with the scenes in the water being outstanding, much like the ones in “Crosscurrent”. The only fault I found with the narrative is that the story of the son goes a bit too far at one point, in Chao’s effort to touch as many social subjects as possible. Wang Chao and Huang Shang’s editing unveils the story in extremely slow fashion, in a style quite usual in Chinese art-house films, as it tries to draw as much as possible from every frame. The cast of the film is comprised almost exclusively from non-actors, however the acting is on a quite good level. Li Wake as Lao Yu is impressive in highlighting his efforts to atone, while the scene where he is notified that they have found his son’s body is a highlight of a performance that manages to communicate a lot despite its laconic fashion. as Xiaofen is also impressive in her difficulty to adapt to the world without her mentor’s help, in an even more laconic performance. “River’s Edge” is a distinctly art-house film that combines substance with artistry in an impressive visual package. Interview with Yujiro Harumoto: I want to make what I can’t explain with words.